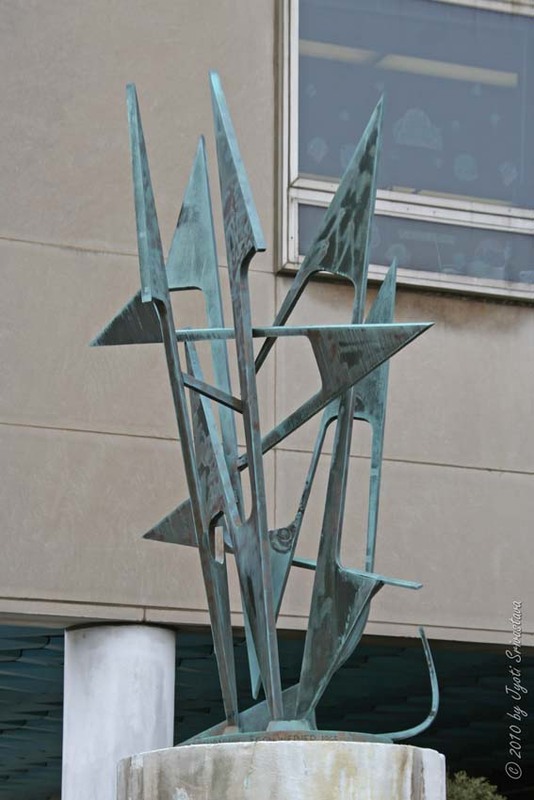 Polyphony II (1965) by Egon Weiner in Lincoln Park, Chicago. Image Source: Chicago Outdoor Sculptures. Today, see a beautiful Russian-language animation about Johann Sebastian Bach (1685-1750), the great German Baroque composer noted for perfecting the 'one melody in the world,' also known as many-voiced polyphony. This is Сказки старого пианино Бах, or Tales of the Old Bach Piano (2011); the film was directed by Elena Petkevich, written by Irina Margolina, with animation by the South Korean Studio MIR in the series Tales of the Old Piano (Hat tip: Gina Theou).